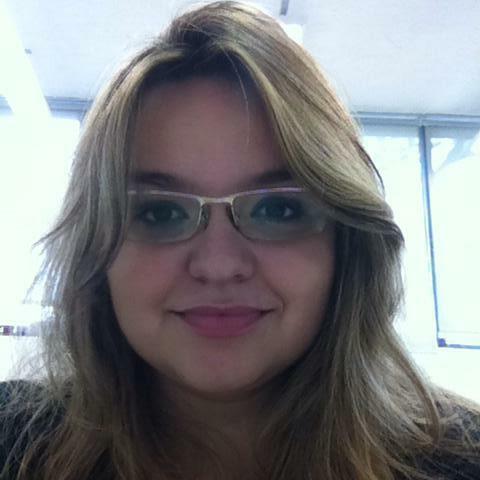 Maria Fernanda doing her research on Mitochondrial Bioenergetics, Ion Transport and Redox State. Department of Biochemistry, Chemistry Institute, University of SaÌƒo Paulo. Supervisor: Prof Alicia Juliana Kowaltowski. FAPESP Fellowship (2013/04871-6) Impact of Calorie Restriction and Mitochondrial Dynamics upon Skin Stem Cells. EFEITOS DA RESTRICAO CALORICA SOBRE A MORFOLOGIA, DINAMICA, BIOENERGETICA E ESTADO REDOX MITOCONDRIAIS.She did her Phd project on Molecular mechanisms of the effect of oxidative stress in senescence and potentiality of skin stem cells. Advisor: Prof Mari Cleide Sogayar. FAPESP Fellowship (2006/59199-7) Molecular Basis of the Impact of Oxidative Stress on the Potenliality and Senescence of Skin Stem Cells (BASES MOLECULARES DO EFEITO DE ESTRESSE OXIDATIVO NA POTENCIALIDADE E SENESCENCIA DE CELULAS TRONCO DAPELE). Bachelor Degree, 2000-2004, Biology, University of São Paulo, São Paulo, Brazil. Sartori A, Garay-Malpartida, Forni MF, Schumacher R, Dutra F, Sogayar MC, Bechara E. Aminoacetone, a Putative Endogenous Source of Methylglyoxal, Causes Oxidative Stress and Death to Insulin-Producing RINm5f Cells. Chem Res Toxicol. (2008) 21 (9), pp 1841–1850. Tatiana C. Carneiro-Lobo, Andréa Mariano-Oliveira, Sandra Konig, Maria Fernanda Forni, José M. C. Ribeiro, Ivo M.B. Francischetti, Mari C. Sogayar, and Robson Q. Monteiro IXOLARIS, a potent exogenous inhibitor of factor VIIa/Tissue Factor complex blocks primary tumor growth in a glioblastoma model. J T Haemostasis (2009) 7(11) pp1855-1864. Forni MF, Lima MT, Sogayar MC. Embryonic skin development: stem cells rising in epidermis. Biological Research. (2012); 45(3) :215-22. Lobba ARM, Forni MF, Carreira ACO, Sogayar MC. Differential expression of CD90 and CD14 stem cell markers in malignant breast cancer cell lines. Cytometry (2012) Dec; 81(12):1084-91. Forni MF, Loureiro RR, Cristovam PC, Bonatti JA, Gomes JAP, Sogayar MC. Comparison between different biomaterial scaffolds for human limbal derived stem cells growth and enrichment. Current Eye Research. (2013) Jan; 38(1):27-34. Halcsik E, Forni MF, Fujita A, Verano-Braga T, Jensen ON, Sogayar MC. New insights in osteogenic differentiation revealed by mass spectrometric assessment of phosphorylated substrates in murine skin mesenchymal cells. (2013) BMC Cell Biol. Oct 22;14:47. Luis Alberto Luévano-Martínez, Maria Fernanda Forni, Valquiria Tiago dos Santos, Nadja C. Souza-Pinto, Alicia J. Kowaltowski. Cardiolipin is a Key Determinant for mtDNA Stability and Segregation during Mitochondrial Stress. BBA – Biochim Biophys Acta. 2015 Jun-Jul;1847(6-7):587-98. Forni MF, Lobba ARM, Ferreira AHP, Sogayar MC. Simultaneous isolation of three stem cell populations from murine skin. PLOS ONE. Forni MF, Chausse B, Peloggia J, Kowaltowski AJ. Bioenergetic Profiling in Epithelial Organs: The Skin as a Model. Experimental Dermatology. Forni MF, Halcsik E, Sartori A, Polizel LS, Bechara E, Sogayar MC. Oxidative stress mediated osteogenic differentiation of mesenchymal skin stem cells is glutathione dependent. Submitted to Antioxidants and Redox Signaling. Forni MF, Schreiner A, Quist S, Polizel LS, Oceguera F, Watt FM, Sogayar MC. Glutathione depletion in epidermis leads to abnormal differentiation and hyperproliferative response in a FOXO3a dependent pathway.